Home » Posts tagged with "places to see in davao"
If it is your first time vacationing in Davao City (or if you are a balikbayan that has been away for so long) you surely wonder about the things you can do in the city today – where should you go to make your stay a one- of-kind vacation experience? Well, as you might already know, Davao is the largest city in in the Philippines in terms of land area and that means there are lots of things you can do to make your visit a lot of fun – a perfect getaway! Here are some of the things that you should not miss doing! 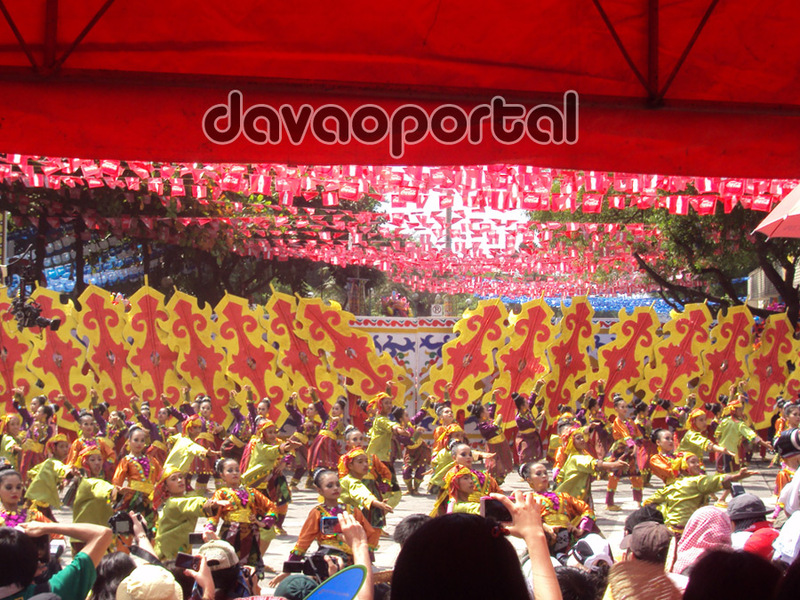 There are three major festivals you can experience in Davao City in a year. If you are visiting in the month of March, it’s the perfect time to join with Davaoenos in celebrating “Araw ng Dabaw,” which showcases lots of fun activities including street dancing and floral parade competition; agricultural trade; and Mutya ng Davao Pageant,etc. 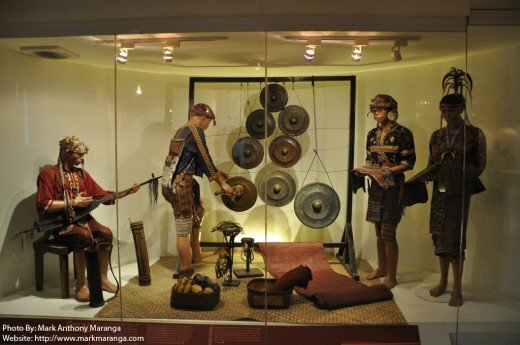 If you plan to visit in August, you should not miss the Kadayawan Festival, which is considered the festival of festivals in Mindanao, a thanksgiving celebration for the bountiful harvests and a presentation of rich local culture. During Christmas season, the city celebrates “Pasko Fiesta,” a kind of festival aimed to showcase local talents and creativity through Christmas lightings and decoration competitions, which are highlighted in a Christmas parade. 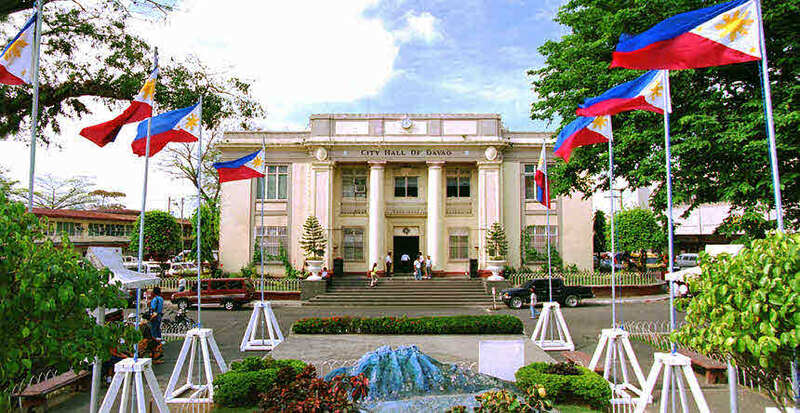 There are lots of important landmarks in Davao City that reflects its cultural, historical, and political values. You should not miss visiting the local executive building, the City Hall of Davao located along San Pedro Street (20 to 30-minute ride from the airport); and, just beside it, the Sangguniang Panglungsod, where you can witness legislative sessions (things you should not miss if you are politically-inclined person). And, right across the SP building is the famous San Pedro Cathedral – one of the oldest churches in the city. Also, a few distance from the SP, at the back, is the Museo Davaoeno (Davao Museum) – another place that reflects the life and lifestyle of Davaoenos in an array of colors – where you can see artifacts, art exhibits from Davao-based artists, historical and indigenous people’s photos, etc. FYI: You can visit the city hall, SP legislative building, San Pedro Cathedral, Davao Museum, and Quezon Park in one hour since they are all in the same area. If you are an animal lover, you must be excited visiting this spot. Have you heard about “Pangil”? Well, it lives there – the biggest croc in town. But there is more than seeing crocodiles’ fangs; the place is not only a home of cultured crocs but a haven for a variety of other animals as well – you can see snakes (big pythons are there! ), birds, monkeys , deers, wild boars, tigers, etc. The park also has a butterfly garden. 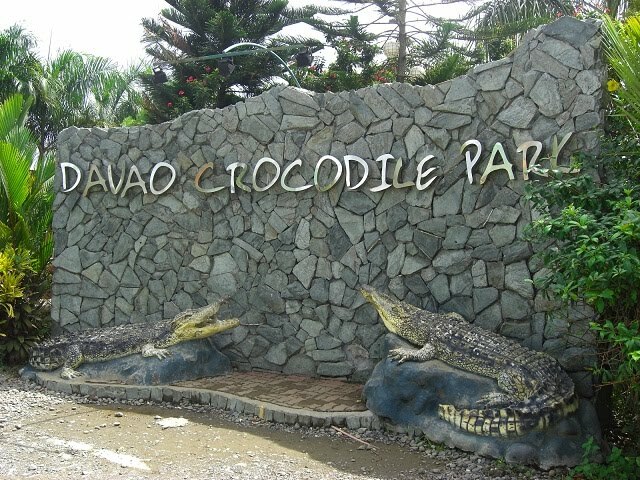 FYI: Davao Crocodile Park is located in Ma-a, Davao City – 20-30 mins from Davao International Airport. Davao also has a lot to offer when it comes to nature trips – from island to highland, as they say it. If you love beach outing, you can have it anytime you want as the city has lots of beach resorts to offer, including the world-class Pearl Farm Beach Resort and the Paradise Island Resort – both are located in Samal Island, about 30 to 60-minute (at most 2 hours) ferry ride from Davao City proper. 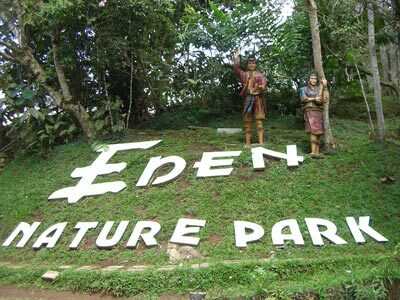 Aside from beaches, you can also visit some of the city’s famous mountain resorts such as the Eden Nature Park and Loleng’s Mountain Resort – both offer a perfect nature-inspired place for event gatherings, whether for business or leisure. These resorts accept walk-in visitors, aside from the conventional bookings; they are about 20 and 25 kilometers away respectively from downtown Davao. Another recommended place to visit for those who love nature is the Malagos Garden Resort, about one-hour taxi ride from the city proper. This place is the home of the King of Birds – The Philippine Eagle – and other animals and diverse tropical plants. There is nothing to worry about accommodations – it has hotel facilities in a nature environment. If you are into sports or extreme adventures, you have lots of choices to try as well. You might want to try Davao river-rafting and experience the excitement of wildwaters. 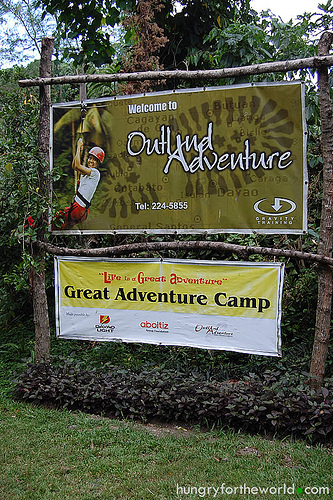 You can also try to visit Davao Outland Aventure, another extreme adventure facility in the city that offers rope and obstacle courses as well as cable and ziplines. The site is located in Ma-a, just 10-15 minutes away from downtown in a taxi ride. Wakeboarding is also another exciting activity you can try in the city and you can have it at Deca Wakeboard Park. And, if you want to experience the ultimate, you might be interested climbing the highest peak in the Philippines , Mt. Apo – the ultimate destination of mountain climbers especially during lenten season. 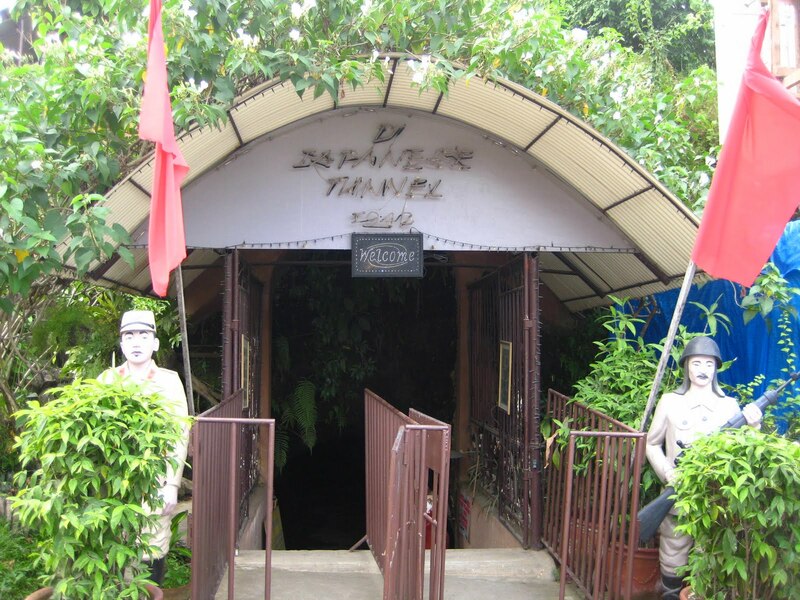 Located along the Diversion Road in Davao City, the Japanese Tunnel Resort has been attracting both local and foreign tourists since the first time it was made open to public. This tunnel was made during World War II – at the time of Japanese occupation in the city. Stretching about 300 meters deep. The tunnel is said to be carved by the Davao Prisoners of War in 1942. 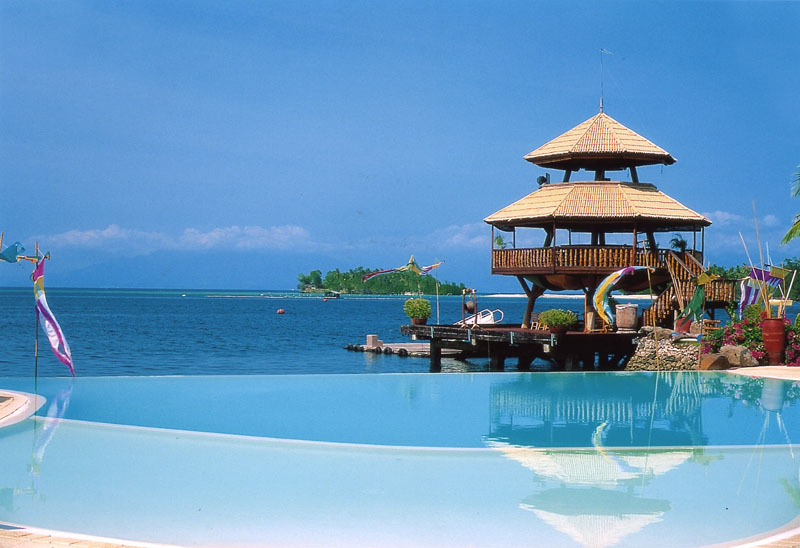 Aside from this main attraction, the resort also offers other facilities including swimming pool and restaurant. 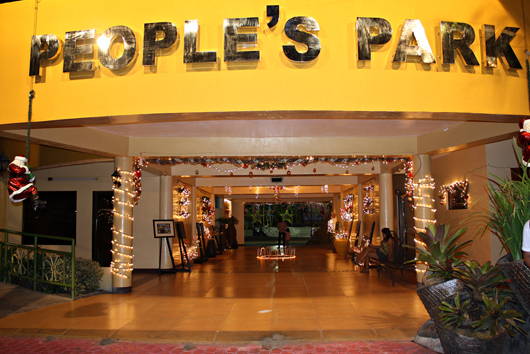 Located in the heart of Downtown Davao, this 4-hectare park offers a place to relax and a venue for fun activities in the middle of this bustling metropolis. This park was inaugurated and was made open to public way back in 2007, showcasing diversified tropical plants, fountains, man-made waferfalls, playground for children, and a whole lot more. Aside from visitors who want to relax during their idle time (you can see most of them sitting on long benches under big tropical trees) it is also the favorite spot for those who exercise daily. The best times to go in the area is early in the morning, around 5 to 8 AM as it is open for people who go there for fitness purposes (Jogging, weights, etc.) and in late afternoon at around 4 PM onward. The park closes at around 9 to 10 PM. 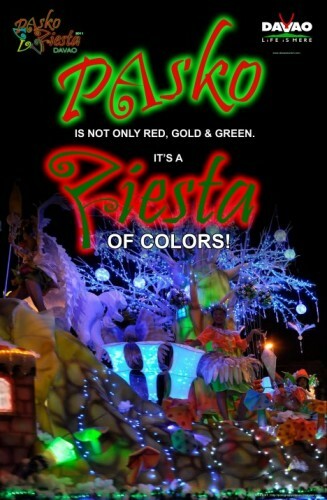 FYI: The park is surrounded by restaurants, hotels, shopping centers, and other leisure places. It is a walking distance from the famous Apo View Hotel, Marco Polo Hotel, and the Royal Mandaya Hotel, and some of the best budget hotels in the city. Walking distance restaurants are Primos, Toryano’s, Pards, Tsuru (Japanese restaurant), and Hanoi (Vietnamese restaurant). 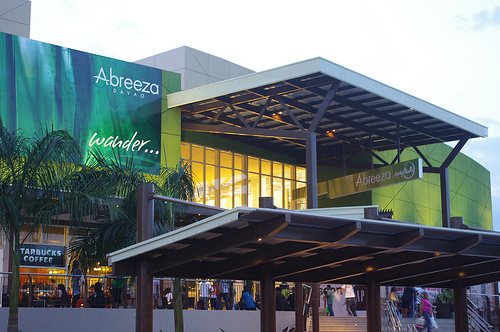 Davao city is home to about 1.5 million people so there’s no wonder why shopping malls are sprouting everywhere. Wherever you are in the city, you can surely find malls near you. Along J.P Laurel Avenue nestled the biggest shopping malls in the city, including Gaisano Mall of Davao, Victoria Plaza Mall, Abreeza (Ayala Mall), and the newly-opened and the biggest of them all, the SM Lanang Premier. Along McArthur Highway (Ma-a intersection), there you can find NCCC Mall; SM City Davao is located along Quimpo Boulevard (south of Davao); Gaisano Grand Citymall is along Ilustre Street – a few meters away from Davao Doctors Hospital. As I have mentioned, there is nothing to worry about places to eat as you can find them anywhere in the city – plated, buffet, fine dining, etc. But of course, you should try some of of the famous home-grown restaurants. You might want to try dining at Penong’s (barbecue and seafoods), Harana (don’t you enjoy being serenaded while eating?). You might also want dining while seeing the lovely panoramic view of the city – try Jack’s Ridge in Shrine Hills and Hilltop along Diversion road. So, those are the things you can do in Davao City – but they are just a ‘tip of an iceberg’ as there are so much more you can do to make your Davao vacation a truly one-of-a-kind experience.